1 What makes a good gym bag? 2 How do you choose the bag that’s right for you? Getting your stuff to the gym - the smart way. There have been too many times when all I wanted to do was get in some yoga in between classes but can’t because there was never enough space in my backpack. 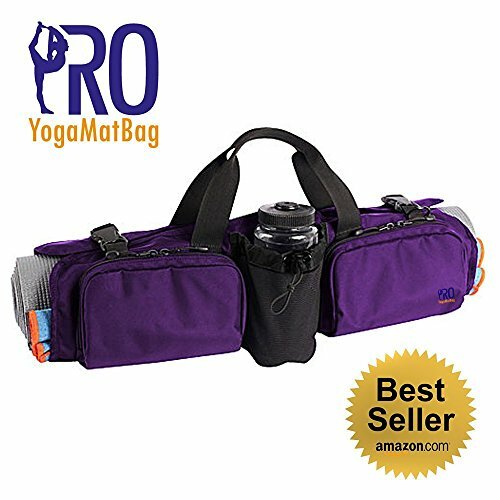 I wanted a gym bag that could hold all of my supplies, so I went on a search to find the best gym bags that also have a yoga mat holder. 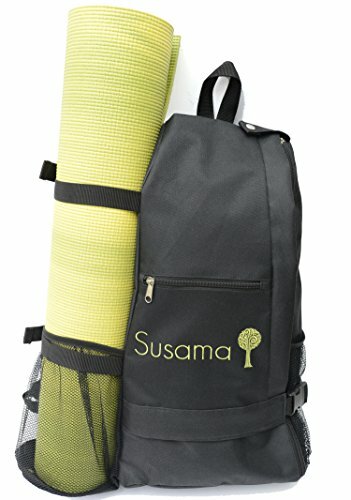 I researched some of the top-selling gym bags with yoga mat holders on Amazon, and I compiled a list of the top five contenders below. Before that, it’s important to know what to look for before taking the dive and purchasing a gym bag. Read over the guidelines below to better understand the different types of gym bags out there and how to search for what you want in those categories. Essentially, what makes a good gym bag is one that is durable, spacious, functional, and stylish (in my opinion). Most established companies provide gym bags that are durable and will last you a long time, so long as you take care of it. How do you choose the bag that’s right for you? While choosing a gym bag can be pretty subjective, there are some key things to look for before deciding permanently on a bag. For instance, if you’re in school and already carrying a backpack, it might be best for you to look at a duffel bag, as opposed to carrying around two different backpacks. Think about where you want to go with your bag. Do you want to go running with it? Maybe look for a smaller backpack. If you’re all about the gym, you might like a duffel bag. The next thing you need to be aware of is price. These bags can range from $25-$150, depending on things like functional quality, materials, and brand name. Make sure you keep your eye out for bags that fit in your price range (they are not all created equal!). Features of your bag can also be very important. For instance, some bags come with cell phone pockets that claim to be perfect for biking. Other bags will be waterproof and great for hiking or any outside activity. These features will help guide you in deciding what you really want to use your bag for. Finally, be sure to look at customer reviews. This is an easy step that often goes overlooked. These are customers just like you who have received this bag and want to let you know why it’s good or why it’s bad. Check out a few reviews to see what people think, or if they’re saying things you want or don’t want in your next bag. Just be careful not to only look at number of stars. You’ve run through the gamut of gym bags, and you’re still not finding what exactly you’re looking for. Gym bags with special features can be difficult to find. They come in all shapes and sizes, and they all have a variety of looks. They can range from your typical small duffel, all the way to a large, fashionable tote bag. How do you find a specific look when they’re all so seemingly different? What I’ve found works the best is searching through amazon and ebay (you’d be surprised at what you can find). Both sites allow for much more specific searches than most websites, so you’re almost guaranteed to find a product that meets your needs. Luckily, if you’re looking for a gym bag with a yoga mat holder, look no further. Before I launch into the best and the best of the best gym mats with yoga mat holders, I want to be sure I make it clear that each of these products claims to be durable and hold a yoga mat of (almost) any size. WALK, BIKE OR HIKE TO CLASS! Use this bag for hot yoga classes, pilates, gym, workout, fitness training, office, school, college, university, sports, hiking, cycling, biking, exercise, walking & travelling. This portable purple yoga tote bag is UV resistant & long lasting in all weather types. What's great about this bag is that it's a lightweight crossbody with a lot of room. It can fit all your gym equipment and still be lightweight, which is why people are loving it right now. It might also work for you if you are carrying an additional bag since crossbodys are easier to walk with. Things that customers are not loving so much about this bag is the size. It might be too small for someone with a lot of gym equipment. Additionally, Susama Yoga is a family-owned company,and they have a 100% money-back guarantee. If you don’t love your mat, or if there’s an issue with it, you can either return it, or they will replace it with a new one. 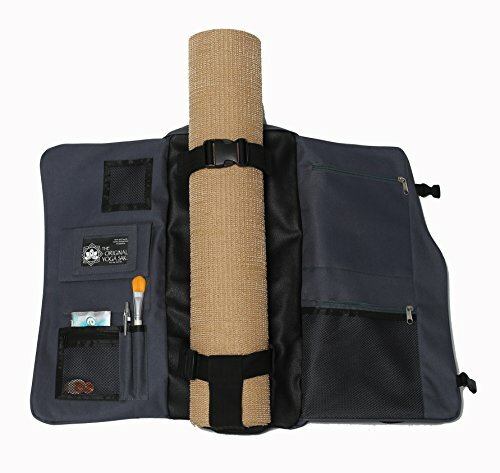 AWESOME DESIGN - It holds yoga clothing, accessories and personal items in a unique way that actually lets you carry more stuff in a sleek, ridiculously practical bag that's actually smaller than your mat! This bag is a best seller on amazon, and for what looks like good reason. This bag is an atypical design - it is long and flat as opposed to your typical duffel or crossbody bag. Some things to consider before purchasing this bag are that it is long and flat, so be aware of that if you bike to your gym. There have been some issues with the shoulder strap, as well. However, the ﻿reviews ﻿of this bag are raving! People are loving its durability and design. This could be your ideal bag if you are strictly looking for a yoga bag, and if you need a bag to last, it seems that this might be the bag for you. 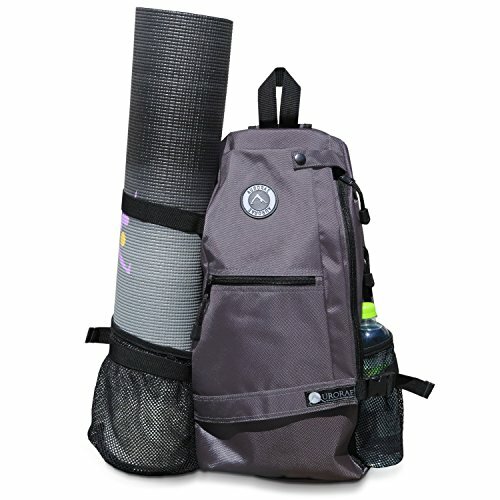 This bag is another very popular yoga mat bag. It holds yoga mats 5 pounds and under, and it has a built-in cell phone pocket for anyone needing a place to store it. It also addresses the main flaw of the YogaMatBag in that it has a double-reinforced shoulder strap. Customers are loving this bag because it is lightweight even with heavy items, and the customer service is outstanding. This bag will fit your books for school and you gym equipment, so it could ideal for anyone looking to workout on their lunch break. The only complaint across the board on this bag is the cell-phone holder. Some have experienced their phones falling out of this pocket while biking with the bag. However, just be aware of this, and keep your phone extra safe before biking with the bag. This could be the bag for you if you are looking for a bag to go between work and working out, if you enjoy biking/hiking, or if you need a smaller bag, but still want it to hold your yoga mat. This bag is an exciting one because it's a two-for. It's a yoga mat holder AND a tote purse. It is designed to be stylish, yet functional. 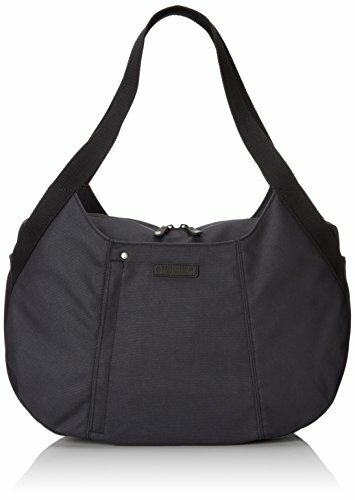 This bag could be great for anyone looking for a bag to take to work/school and the gym. It can fit all gym equipment, and some customers are using it to stash a second purse in as an extra carry-on for flights. It is durable, and it doesn't seem to show signs of wear after many uses. The only real flaw with this bag could be the price. It's normally priced around $90, which can be pretty expensive for a gym bag. However, this bag is on sale right now for $55 on Amazon with free shipping and returns. This could be your ideal fit if you want a stylish gym bag that you can bring to work, or if you travel often, this bag might work for you. The Yoga Sak is a spacious bag with room for all of your gym equipment in its back pocket. It has an adjustable shoulder strap for those looking to bike/hike with it. Another bag, another cell-phone holder issue. Customers also feel that this cell-phone holder doesn't hold during biking, so be on the lookout for that. While it does fit most equipment, it doesn't seem to hold many additional items (i.e. clothing, extra blocks, etc.). This bag could be good for you if you are looking for a practical and comfortable bag and you don't need a lot of room for extras. If you also bike or have a lighter mat, this might be the gym bag for you. After much hemming and hawing, I believe that the . It has everything a yogi and a casual yoga-goer want. It’s stylish, spacious, and functional. It serves a clear purpose – It’s a bag and a yoga mat holder. It seems to be the best of both worlds in terms of being stylish enough to bring to the office, and it is functional enough to hold everything you need to go to your next yoga class. It even fits an additional purse if you need an extra carry on for flights! How much more functional can that get? It seems that you will be getting the best quality for the price. While it is the most expensive bag on this list, customers rave about the quality and how long it lasts without showing signs of wear and tear.